Northern Fish presents salted and dried fish made from the finest Norwegian whitefish. Our product range includes several species, being our salted cod our flagship product due to the traditional European markets in which we operate. However in the last few years we have started to supply other types of salted and dried for African and Central American clients and cultures. 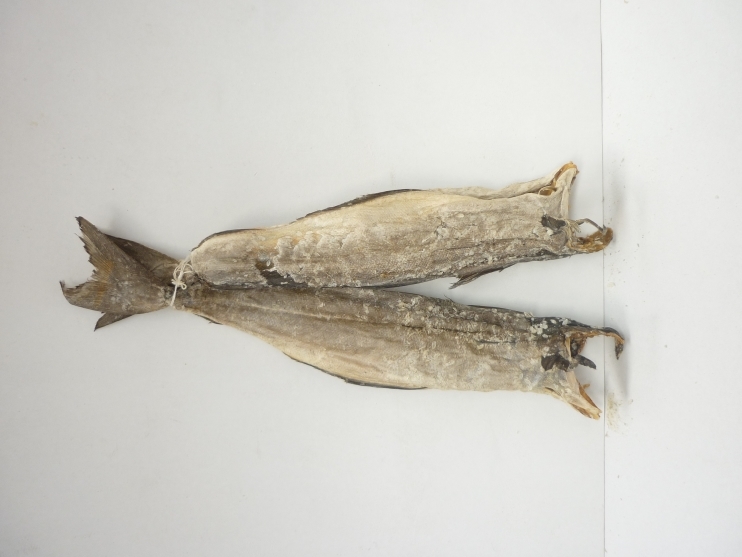 How to produce dried fish? Drying fish is not as easy as it sounds, not all fish are adequate for drying. Salting fish improves and eases the drying of the fish. 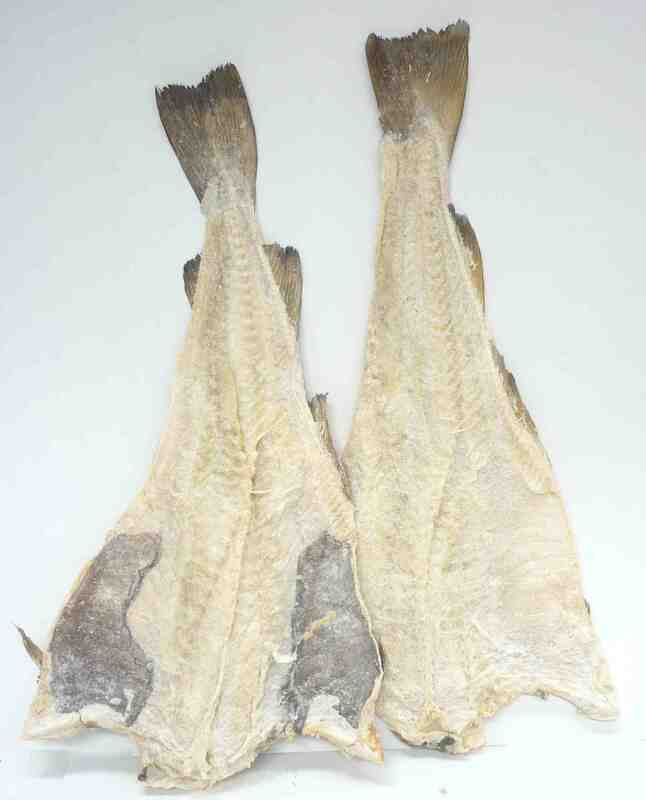 The most known dried fish is called stockfish, normally consumed in Nigeria. The stockfish is produced traditionally in Northern Norway, in the cold freezing winter months, the fish is hanged in racks outdoors to dry. The very cold temperatures protects the fish meat from bacteria. For this reason many other dried fish, may not comply with health and food requirements, it has to be produced in a very clean and hygienic industrial environment, or like in Norway, in very cold weather conditions, to protect against harmful bacteria. Dried and salted fish is the easiest to produce, salt cure has been around for centuries, and it’s actually an ancient tradition in food preservation. Salt is an excellent bacteria repellent, therefore the correct salting of a fish does guarantee a healthy and hygienic food for consumption. Not all fish species are adequate for salted and dried fish, some species are rich in fat, salt in contact with fat oxidizes, so salted and dried fish is best and more successful in whitefish with lean meat. Whitefish are adequate species for salted and dried fish! Salted and dry fish in the old days was also produced outdoors like stockfish, however today these practices are no longer part of production. Drying tunnels are the modern way to dry fish; these tunnels are basically wind tunnels where temperature and moisture is controlled to the limit. In the last 40 years much has evolved in the dried fish industry, and much has improved. In the old days, drying fish outdoors was sometimes a limitation to quality, quantity and to hygiene. The dryness would depend on weather factors, the area covered by the racks would be one of limitation of salt fish production, being exposed outdoors, and normally close to the Ocean side does attract birds and insects that would influence the hygiene of the dried fish. Dried fish produced today guarantee a regular and equal type of dryness throughout the production batch. And aids in repeated productions, we can gauge products according to moisture; most of the consumers today have special requirements regarding these aspects. For example in the French market, the fish should have moisture level above 47%, giving the salt fish some flexibility. For African markets, a hard cure is required, a very dry salted fish, which makes it more resistant to specific weather conditions in those regions of consumption where may times the shop floors to not have adequate cooling for the salted fish products. Northern fish has a wide variety of dried fish, mainly salted fish, from our most famous salted dried cod fish to many other whitefish, all of Norwegian origin.